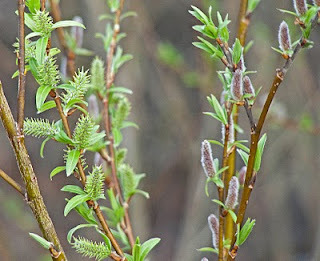 Pussywillows, whose buds and emerging reproductive parts are protected by a fuzzy coat for their cool breeding season, surely felt overdressed this week. As they sped through their flowering in the last few days, pollinators were pressed to keep up. 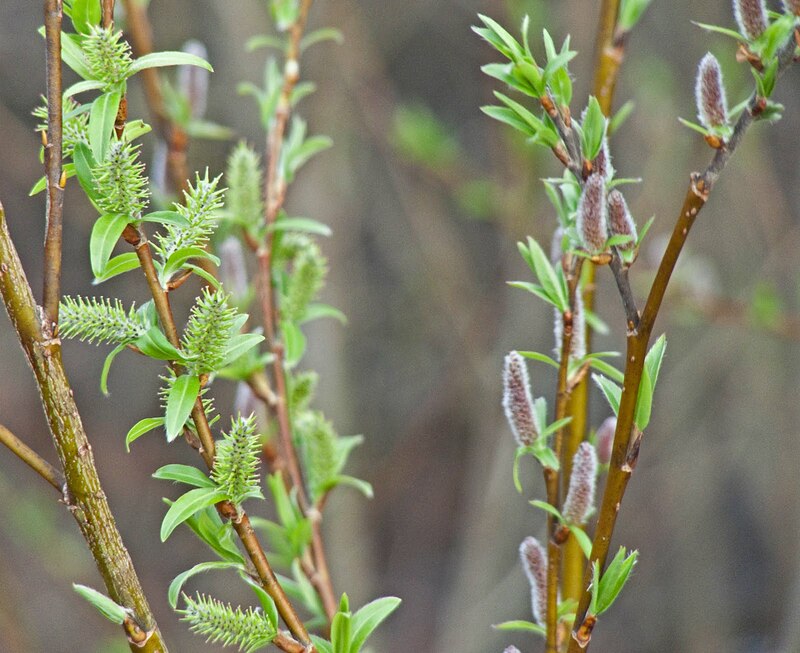 Usually willows, the heat absorbing flowers of silver and red maples and alders, and the heat generating blossoms of skunk cabbage are the few wild flowers in our landscape in early April - with wind-waggled catkins of birch and poplars following next. But this spring's extreme weather of excess water and heat has brought on an explosion of bloom that's precariously ahead of schedule. I like time to savor the unfolding of spring in its perfected rhythms of sun angle, temperature changes, and progressions of bloom and mating. 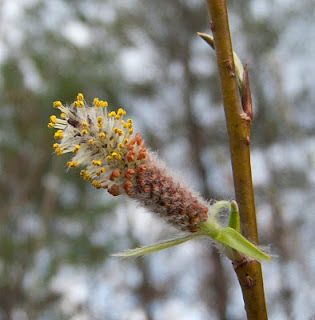 Frosty temperatures remain a threat for premature bloomers right through mid-May, not all of which have built-in warm and fuzzy protection. It will be interesting to explore what the heat-hastening and flood-suppressing effects have had on our landscape and wild life come May.